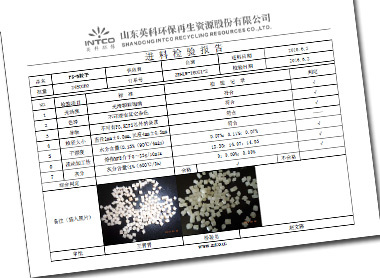 INTCO builds two testing and analysis laboratories respectively in each granulation workshop, Shanghai and Zibo, in order to strictly control the quality of purchased EPS scrap and recycled PS pellets. 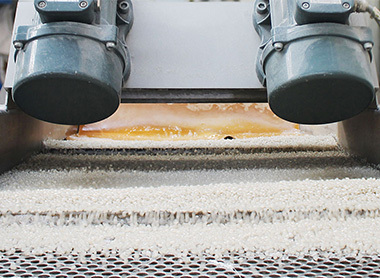 INTCO’s purchasers will ask the suppliers to clarify the sources of EPS scrap. 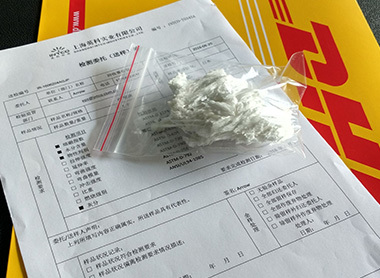 EPS packaging scrap from EPS factories are cleaner compared to EPS scrap from other sources. 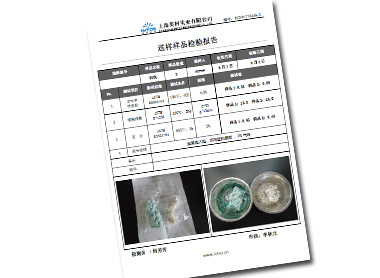 EPS scrap with impurities, such as PE, PP, ABS will be rejected by INTCO. 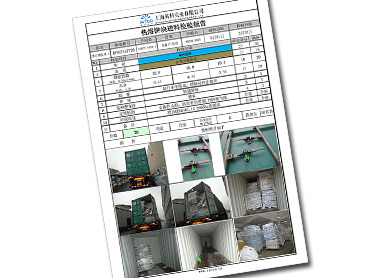 EPS Scrap in each container will be tested by the laboratories and labeled with its test reports. 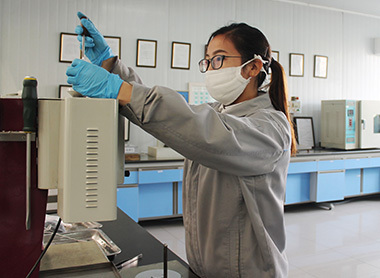 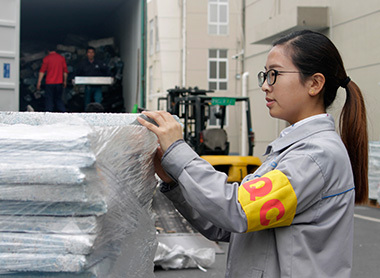 Then they will be classified into various quality levels according to the test reports, and stored separately for producing different levels of PS pellets. 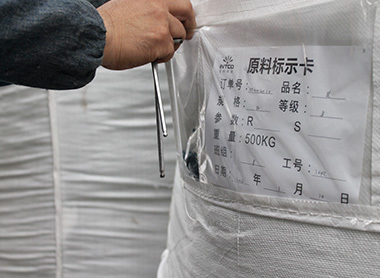 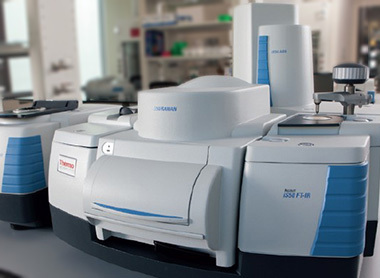 INTCO’s recycled GPPS will be packaged in bags and each bag will be sampled by laboratories with testing reports. 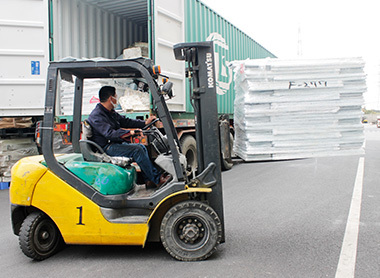 The PS pellets will also be divided into several levels for different business application. 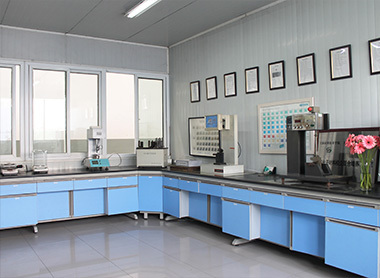 Authority certifications like SGS, ISO are also obtained.